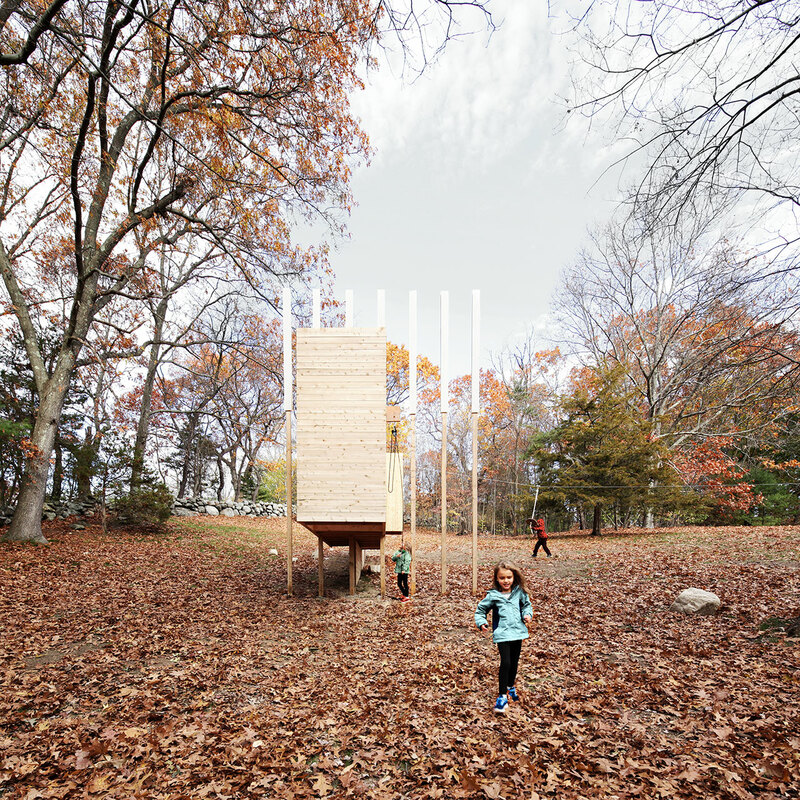 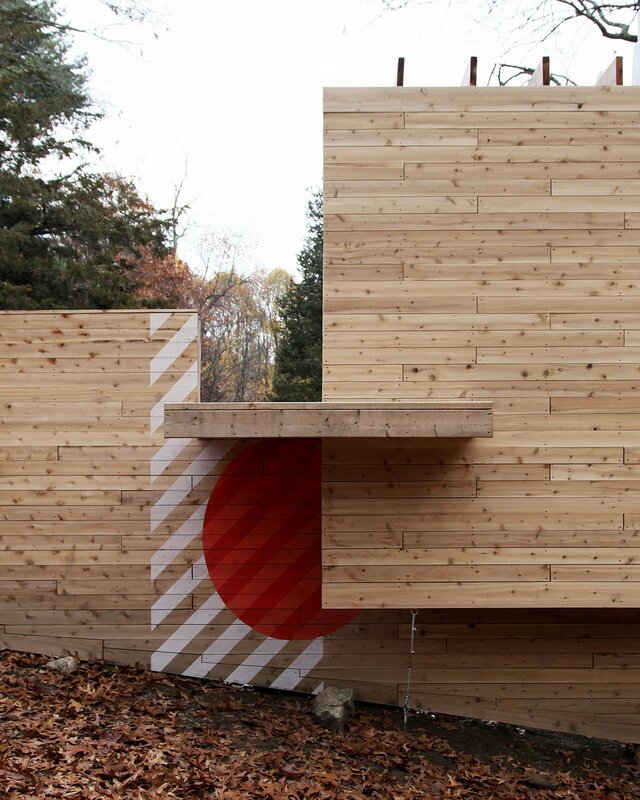 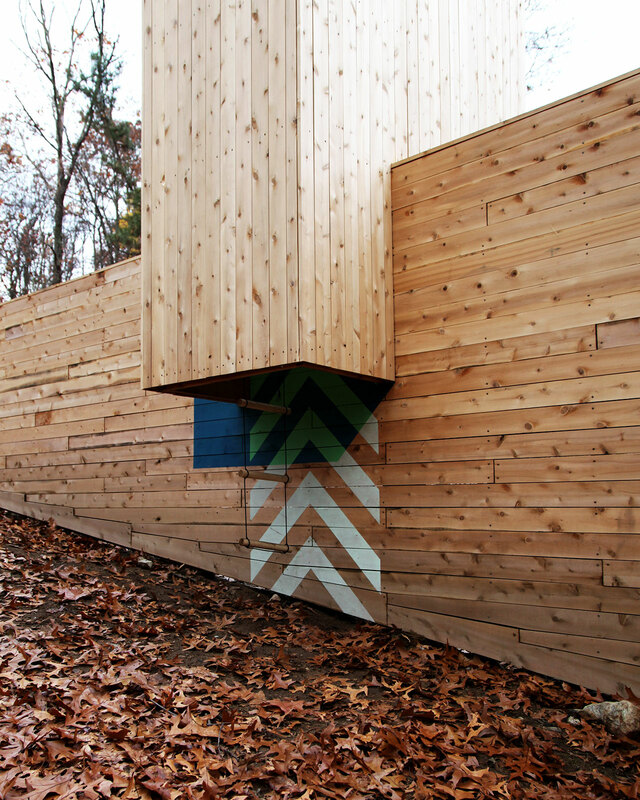 Stimulating young minds and bodies by providing hours upon hours of imaginative play is the sole purpose of the Five Fields Play Structure which was built by Matter Design Studio in the Five Fields Neighborhood Common Land in Lexington, MA. 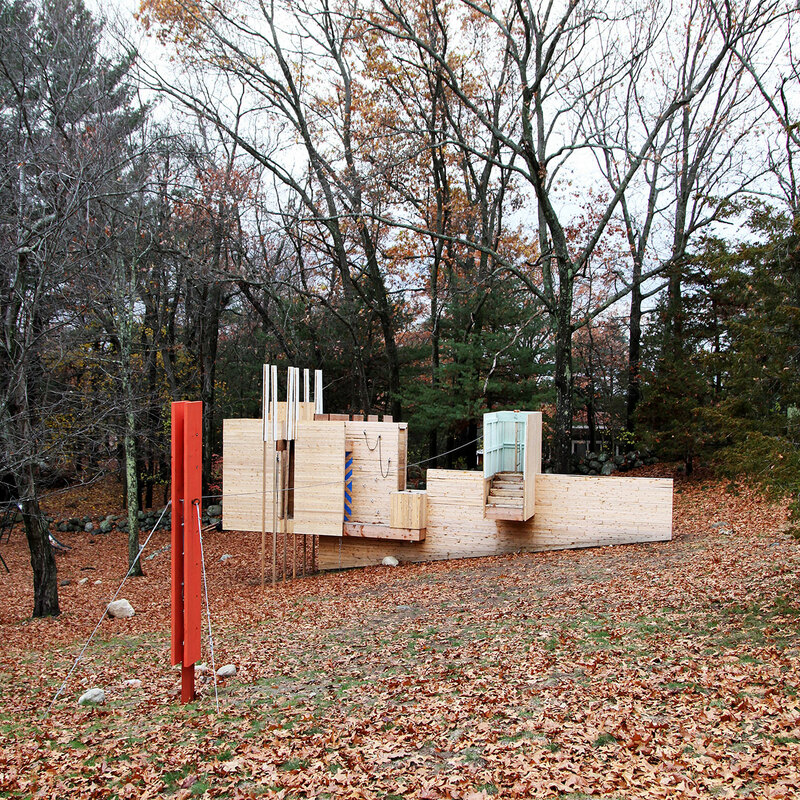 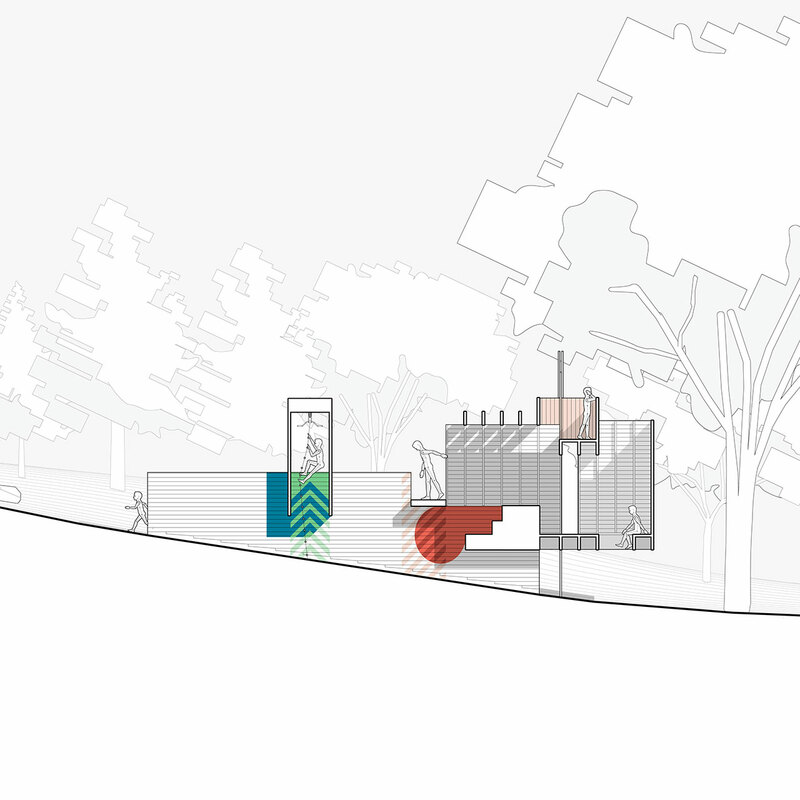 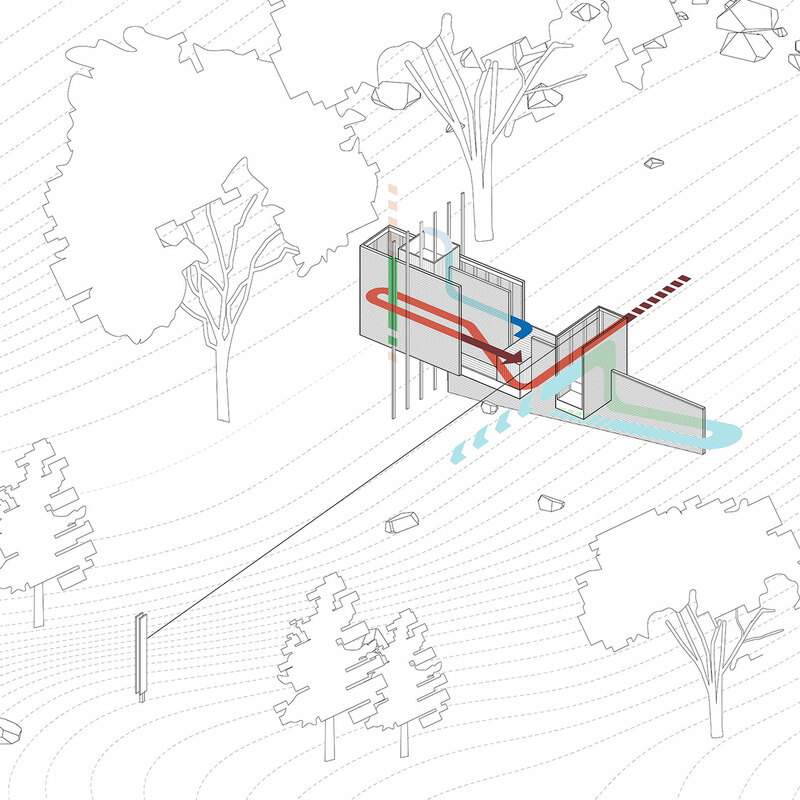 The Play Structure is the modern interpretation of what the original community of Five Fields was founded to celebrate by The Architects Collaborative (TAC). 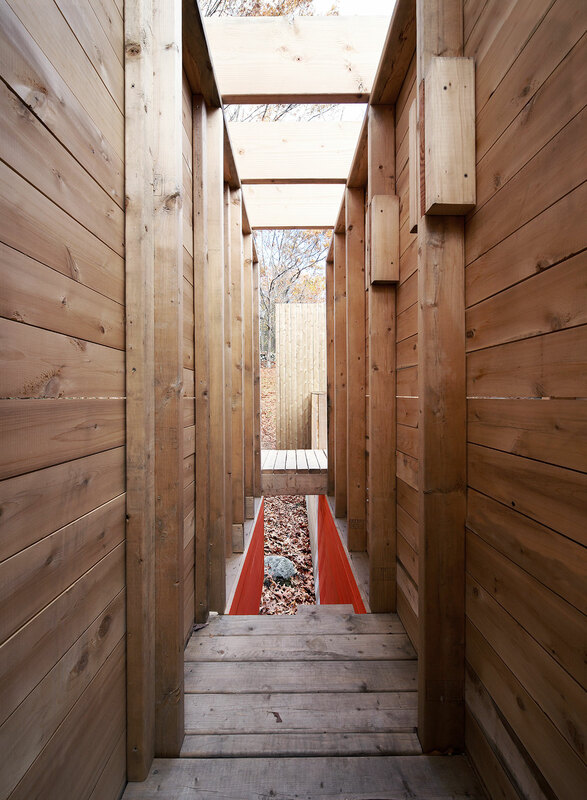 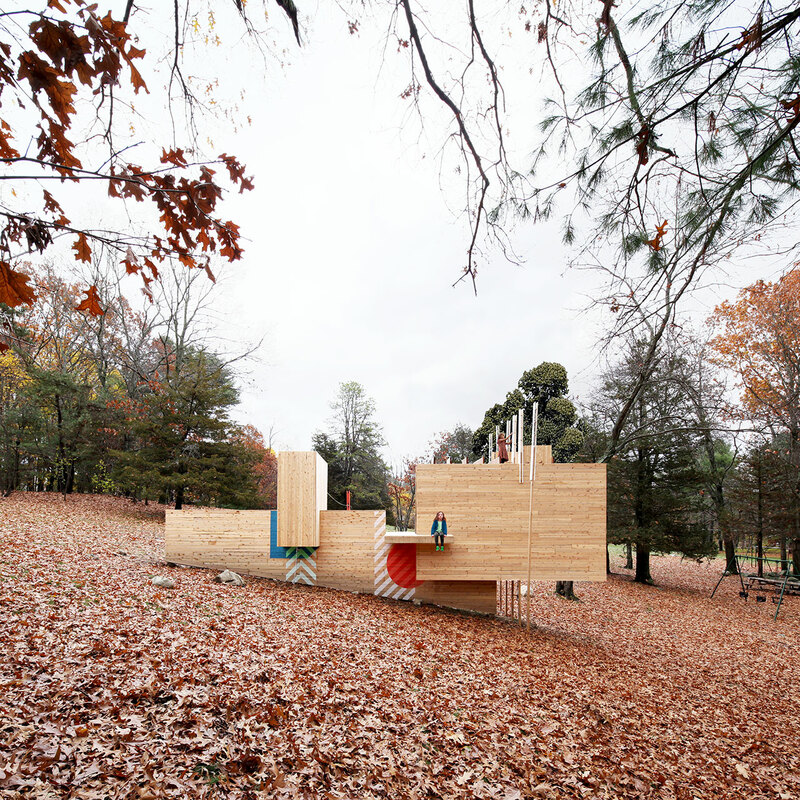 Constructed entirely out of timber and set against the sloping hillside, the Play Structure is tailored to children’s small sizes as well as to their large imaginations, with doorways, staircases and halls that lead nowhere but where the children’s own mind’s takes them. 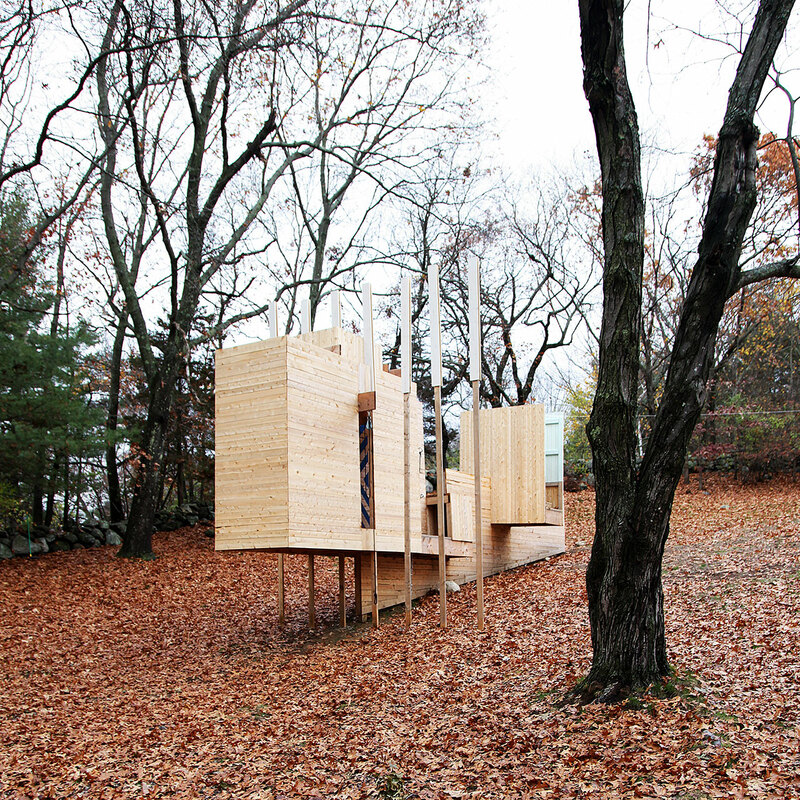 To adults who have lost their ability to dream, shimmying through the narrow spaces or hunching to get through the doors, the Play Structure might seem just an empty shell of a construction. 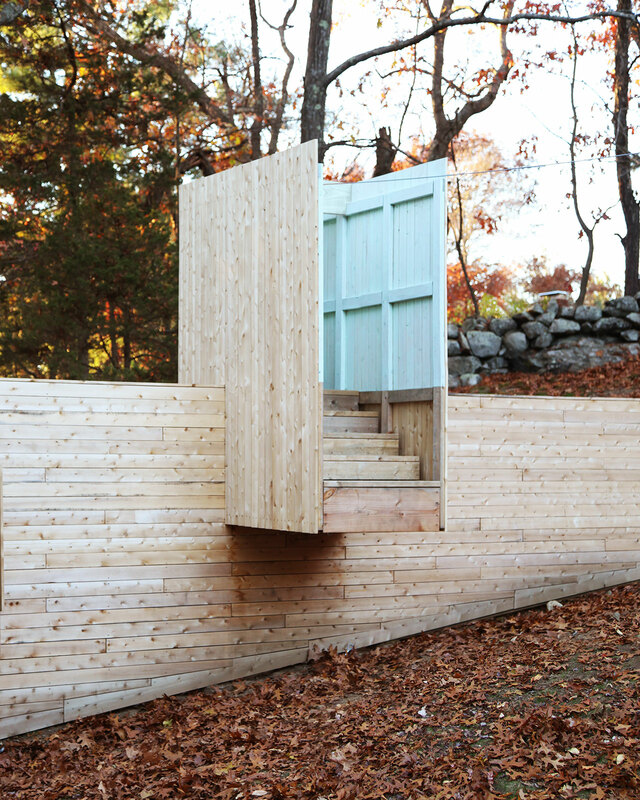 But to kids who have the ability to “see” so much more, it can become a castle… an abandoned and haunted house… or the headquarters of a secret mission — the sky is literally the limit to where their imaginations can take them! 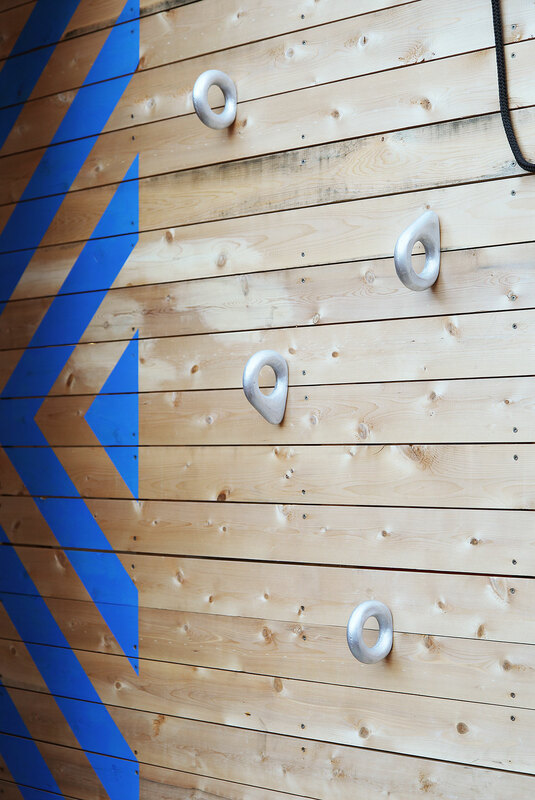 The structure itself features a diverse array of elements and is laid out in such a way so as to allow each child/user the ability to tailor make their own experience according to their individual developmental levels and size. 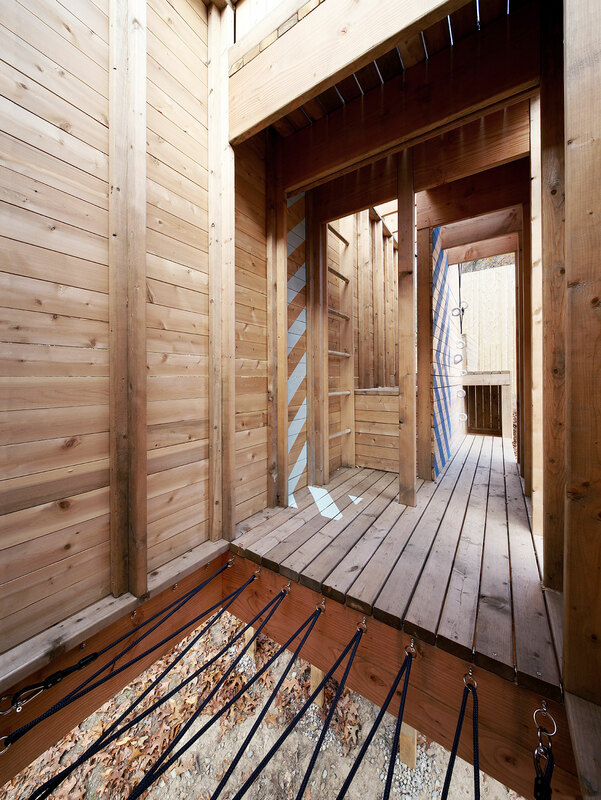 For instance, one child might chose to climb up a wall in order to enter the structure, while another will chose to use a trap door in the floor; meanwhile, the more athletic will use the zip line to jump over the stairs, while another might choose to sit at the base of the stairs and let their legs dangle over the edge.The opportunities to learn new skills while playing with other children are also occasions to teach these children important social skills such as sharing, as well as the importance of taking care of communal property and to love and respect the natural land they live on.